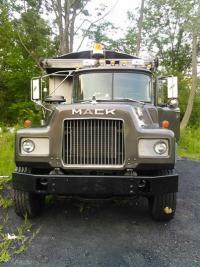 Looking for mack etech 400, 427, 460 etech engine. from 2000 to 2002. Please contact if you have one. I have an 2002 cv713 with single exhaust. Does anyone in here have a parts diagram from mack that has the parts numbers on it so I can locate the driver's side original mack parts numbers for the brackets and exhaust pipes? Do you have a list of parts? Will a DM frame work? why is the forklift moving it? what do you want for the heads and are they 2 or 4 valve?